The House of Dionysus (so named because of the above mosaic) has a fun story attached to it. According to our tour guide, while they were excavating the ruins, in a room thought to be the nursery, they found children's handwriting on a section of plaster low on the wall. It said, "Hercules, Hermes stole your marbles." The plaster with the writing was carefully removed and can be viewed in the museum on Delos. Later on, Doug and I wandered through the museum, but we missed the plaster section. 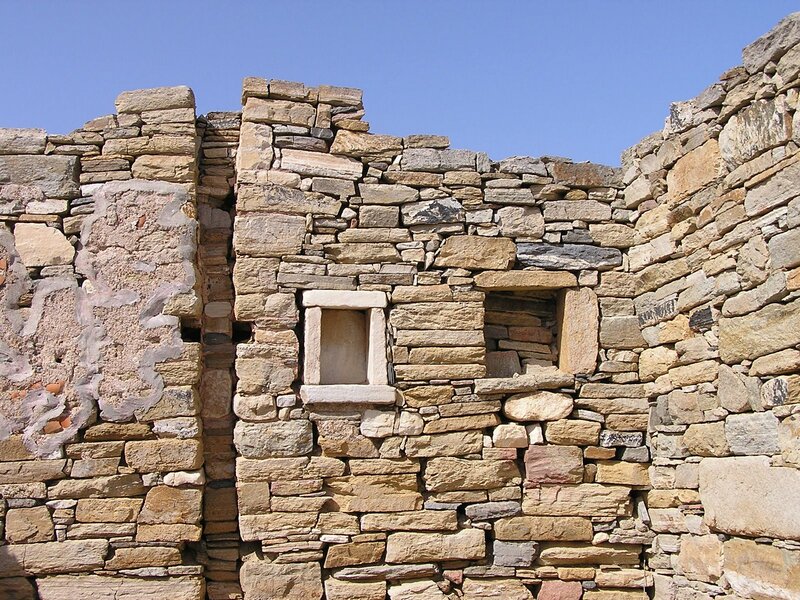 I also didn't find any mention of it in our book on the ruins of Delos, so I don't know if the story is true or not, but it is fun to imagine. This is another house on the island. 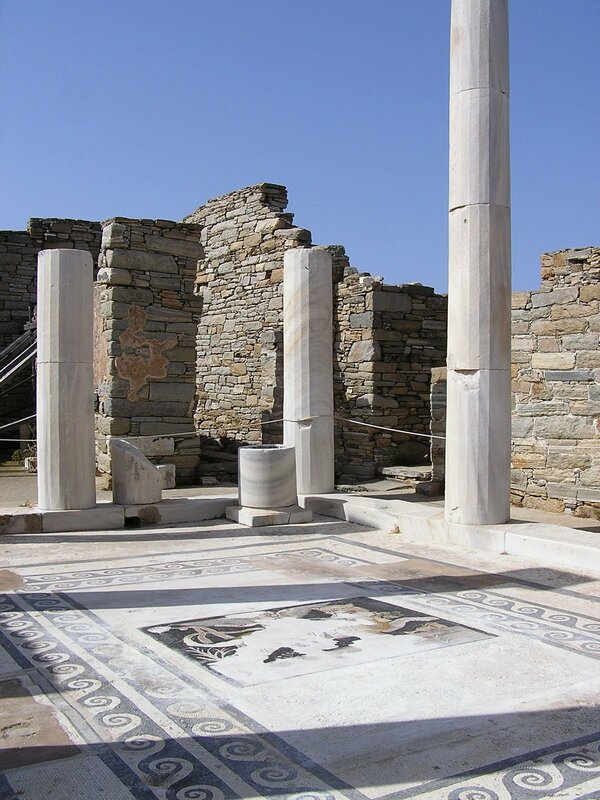 I also have more pictures of the ruins on Delos.